LONDON – alt-J’s performances at the Royal Albert Hall will be the first performances in the U.K. to utilize L-Acoustics’ L-ISA Immersive Hyperreal Sound technology. alt-J announced that their two sold out Royal Albert Hall shows later this month will be immersive sound performances utilizing a surround speaker system enveloping the entire audience—the first concerts to utilize the technology in the UK. 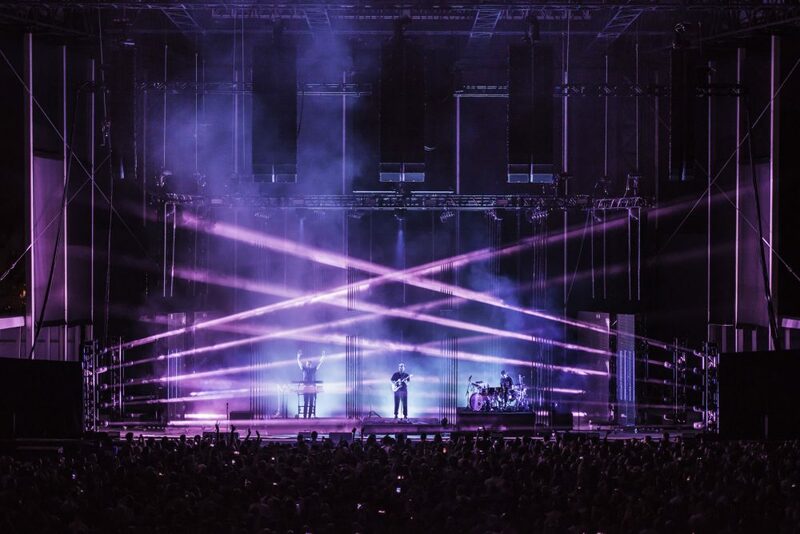 The shows will feature L-Acoustics’ revolutionary new audio technology, L-ISA Immersive Hyperreal Sound, which goes beyond traditional stereo to create a more multidimensional and natural experience, and a sense of intimacy, connecting artist and audience. Speakers will be placed throughout the venue to dynamically position sound effects mixed into a variety of the band’s material, thus creating a truly immersive sound experience. alt-J first utilized the technology at a special, one-off show at New York’s Forest Hills Stadium in the summer. The Royal Albert Hall shows (October 29 and 30) are the final dates of alt-J’s upcoming UK tour in support of their award winning album RELAXER and its recently released counterpart project REDUXER. The band will be performing arrangements of songs from both albums at the shows. Paigey Cakey and Hex will perform with the band as special guests at the Royal Albert Hall; support across the entire UK tour comes from AK Patterson. Limited tickets remain for some shows. See www.altjband.com for worldwide dates and ticket information. REDUXER is a set of 11 genre-straddling reinterpretations of songs from the band’s award winning third album RELAXER, reimagined by a host of fans, friends and peers, including a globe-straddling cross-section of some of the world’s most influential and prolific hip hop artists and producers. The project features, amongst others, the songs Deadcrush (feat. Danny Brown) (The Alchemist x Trooko Version), Last Year (feat. GoldLink) (Terrace Martin Version), 3WW (feat. Little Simz) (OTG Version) and In Cold Blood (feat. Pusha T) (Twin Shadow Version).